Complete opening for safe airbag deployment. 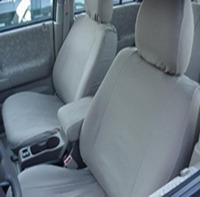 Functions including heat/cool and flip features, use of armrests & access to all storage areas. 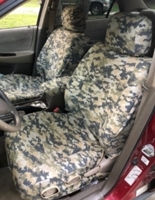 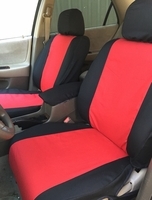 Sold AS SETS (passenger & driver seats) with all headrests, armrest(s) and most console covers plus rear storage pocket on all front seat covers AT NO ADDITIONAL COST!. 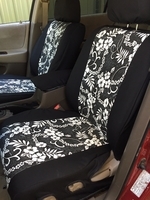 We only use USA top quality materials for superb durability.